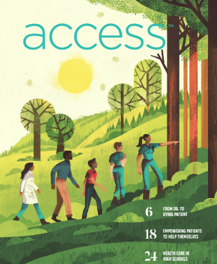 access takes a closer look at four healthcare careers ¾ medical assistants, pharmacy technicians, patient care technicians, and billing and coding specialists ¾ to provide targeted, relevant research, as each positions' career projection grows by at least 11 percent through 2026. The survey targeted employers of, and educators at educational institutions that instruct medical assistant, pharmacy technician, patient care technicians or billing and coding specialists. The survey audience was split evenly between educator and employer, including both NHA customers and non-customers. A screener question vetted out survey respondents who did not meet criteria. Visit the website to see additional survey results and research in the full issue of access™.